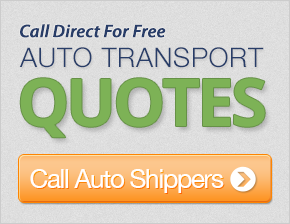 Get up to 7 free auto shipping quotes from the largest, most trusted Alabama auto transport companies and save up to 50% on your car shipping rates at CarMoves.com. Car shipping companies in Alabama compete for your business, which is how you can save hundreds, if not thousands of dollars on car transport services by shopping with us. Whether you're shipping a car to Alabama, across the country, or even overseas, we can help you get the best price on your shipment - guaranteed! Read more about the following auto transport companies in Alabama before getting a quote. Click on the name of the company to read a full review. Get a free auto transport quote today to find out how much it costs to ship a car to or from Alabama! Alabama auto transport is becoming more popular as people are short on time and want the convenience of having someone else undertake the process of car shipping for them. In fact, its not just in Alabama, but all throughout the United States that people are looking for help with interstate transport. But why would you want to use a service like this when your vehicle is in good order and you can easily drive yourself? You might be surprised to learn that more and more people don't have the inclination to drive long distances. Maybe it's because we are all so much busier with our careers and don't want to bother driving over longer distances, but there is an increasing tendency for people to not want to have to drive any distance which will take up too much time. Why Use an Alabama Car Transport Service? Many of our lives are becoming more transient; we are persuaded to move with our jobs, to travel and to explore new opportunities. If this sounds like you, then using an Alabama car shipping company could be a great thing to do. With more and more people realizing this, there have also been some different Alabama auto transport companies popping up, offering to help with moving cars to Alabama, but how can you be assured that you are going to be using a company that will offer you a good quality of service as well as the right price for what you need? That's something that you will need research, especially if you have never used an auto shipping company in the past. 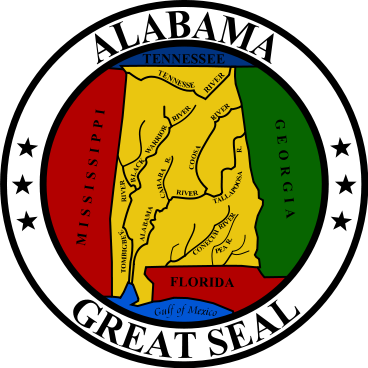 There are a few things to look out for, whether shipping to Alabama or elsewhere, and some critical questions that you must ask to ensure that you are covered in all situations. Firstly, ask if the company is licensed for moving cars, if you are unsure, check with the local transport department. Ask how long they have been in business, and remember, many new companies lack experience in shipping cars to Alabama and can cause damage to your vehicle. Lastly, and perhaps most importantly, check that the shipper will provide all the proper shipping insurance you will need for the trip. Read the fine print and check that you are covered, as when it comes to car relocation, your regular motor insurance doesn't protect you if damage occurs. Use these tips when moving cars in Alabama and you will have a good experience. CarMoves.com works with car shipping companies throughout the state of Alabama. We can help you get the best prices on car transport services to the following cities in Alabama: Birmingham, Montgomery, Mobile, Huntsville, Tuscaloosa, Hoover, Dothan, Decatur, Auburn, Madison, Florence, Gadsden, Vestavia Hills and many more. If you don't see your city listed, don't worry - we can get your vehicle shipped anywhere in Alabama. Scroll to the quote section on this page to compare free auto shipping quotes from up to 7 Alabama auto transport companies and save up to 50% on your move! View the Alabama Department of Transportation website for more information.